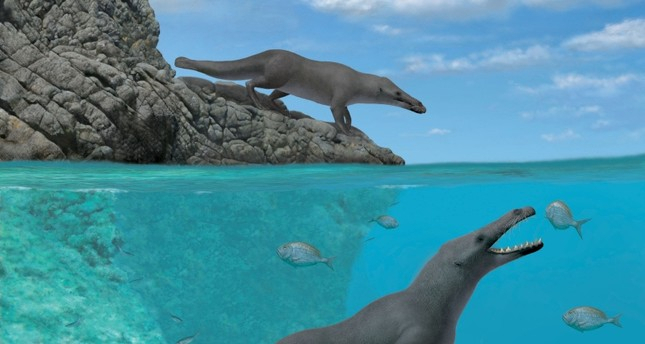 Palaeontologists have found a well-preserved fossil of a four-legged amphibian ancestor of whales, a discovery that sheds new light on the mammals' transition from land to the ocean. The fossil was found about 0.6 miles (one kilometer) inland from Peru's Pacific coast, at Playa Media Luna. "Part of the tail's vertebrae showed similarities with that of present-day semi-aquatic mammals like otters," lead author Olivier Lambert of the Royal Belgian Institute of Natural Sciences told AFP.